Jack Peris is a proud descendant of the Iwatja people of Western Arnhem Land, and the Yawuru and Gidja people of the West and East Kimberley. The son of world-class athletes Nova Peris OAM OLY and the late Daniel Batman, Jack is an accomplished athlete, most recently becoming the National under-16 Australian 400m champion in athletics. After completing primary school in Darwin, Jack made the decision to move to Melbourne to attend boarding school. 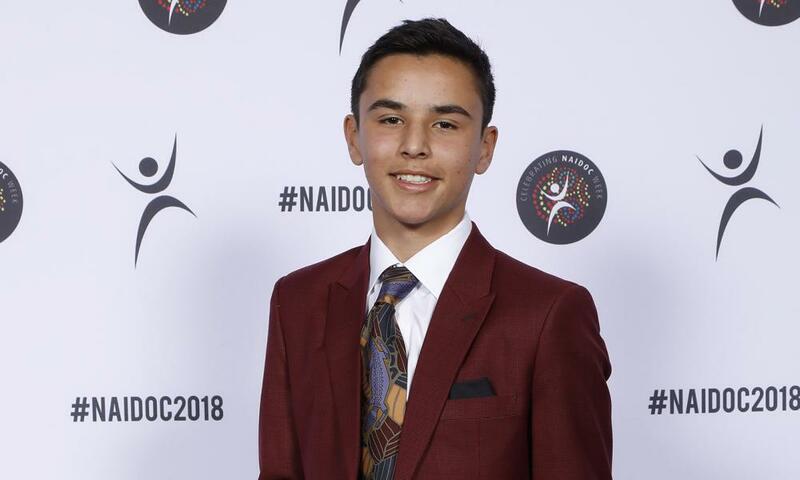 Intent on improving his education and pursuing his sporting career, he inspires fellow Aboriginal and Torres Strait Islander boys who track his progress via social media accounts. Jack is an exemplary student at Melbourne Grammar, earning high distinctions over the past two years and demonstrating leadership ability as the captain of the AFL and athletics teams. After completing year 12, Jack plans to enter university and fulfil his dream of becoming a marine biologist. Jack is a leader and inspiration to his peers, and is representing his people with pride and purpose.